Like Flip Phone on Facebook for event invites and party photos! 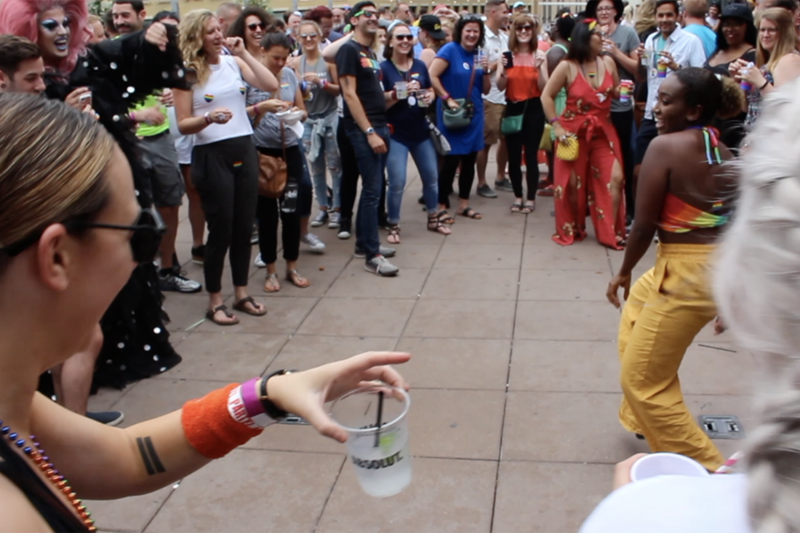 Watch our video from the 2015 Flip Phone Pride Pool Party. Join Flip Phone and Open Arms of Minnesota as we bring you the LARGEST and MOST FUN parade viewing party in town! CRAVE has the biggest rooftops downtown, so that means you can watch the parade and dance all day. Last year, our party didn’t end until sundown. Flip Phone’s DJ Fancy Restaurant and Flipstyle TC will spinnin’ jamz all day, so get ready to DANCE! Doors open at 9 AM, and no you don’t have to be at Crave that time! The parade officially begins at 11 AM. Join Flip Phone and Open Arms of Minnesota as we bring you the LARGEST and MOST FUN parade viewing party in town! 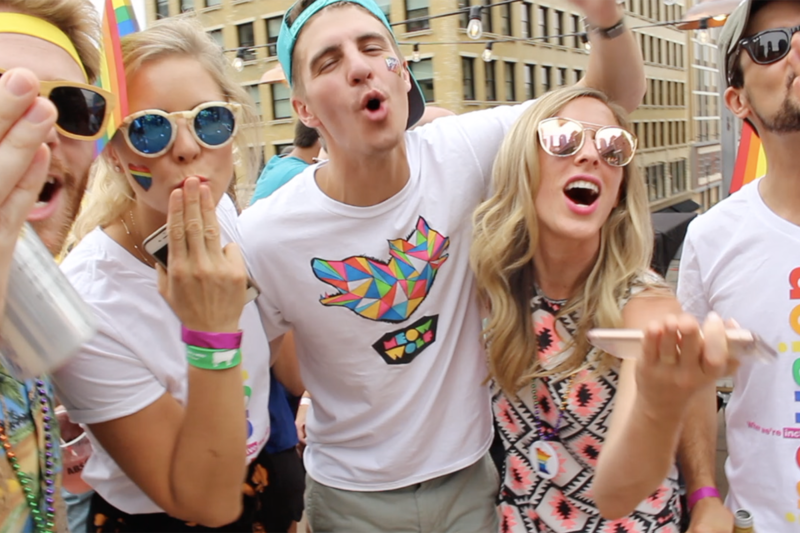 Join Flip Phone and OutFront Minnesota for an epic rooftop party during the PRIDE PARADE. Enjoy dance music, pop-up drag numbers, delicious cocktails, and a view of the parade! 50% of the proceeds benefit OutFront Minnesota. Drag Cast: Sasha R Cassadine (host), Lila Vera, Lala Love-Iman, and Anya DeGrant. Tickets are general admission and standing room. If you would like to reserve a table, see below. Want to book a table? Email simbriaco@unionmpls.com. Tables have a $600 minimum and can seat up to six people. Bottomless mimosas will not be available during this event. A full cash bar will be available.